Google Play Store Archives | Androidability | Android tips, tricks, and technology for better ability. The Google Play Store is one of the most popular features that Google’s Android operating system has to offer. 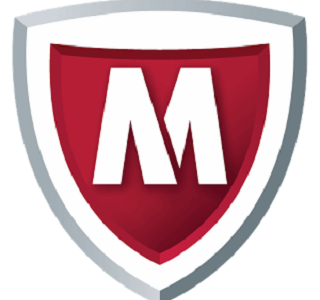 This is the place where all Android fans download their favorite apps and games from. With that said, no one should be surprised to find out that Google is constantly updating the Google Play Store with new features. In fact, the Google Play Store has so many features in its latest form that most Android fans don’t even know about them all. 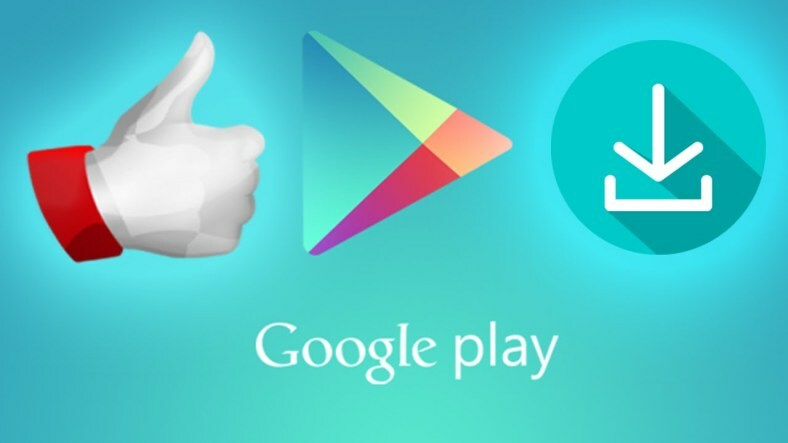 Therefore, we have rounded up the top three most useful Google Play Store tips and tricks that all Android fans need to learn. As previously mentioned, the Google Play Store is a high priority feature of the Android operating system and Google is always improving its performances through new updates. Therefore, we advise all Android fans to update their Google Play Store whenever a new update is announced. This can be done by manually accessing the Settings panel of Google Play Store and then scrolling down to the bottom of the screen and tapping on the “Play Store version” option. 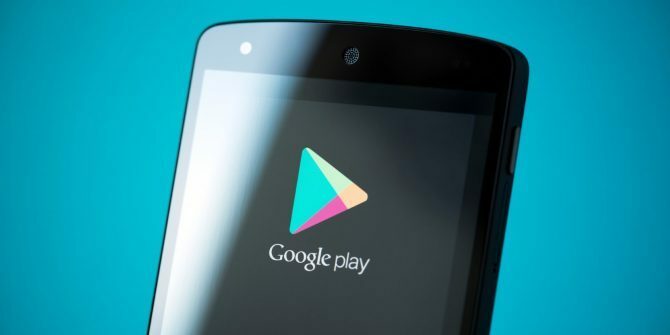 If you have kids around the house and you don’t want them to purchase any apps or games with your smartphone, then you should be pleased to know that Google has made it possible to add authentication restrictions for all purchases through Google Play Store. This feature can be enabled by following the next steps: Settings – Enable “Require authentication for purchases”. Having the ability to restrict what sort of apps are displayed to you in theGoogle Play Store is important. While Google does have guidelines on what is and isn’t allowed into the store, it isn’t the same as being able to keep stuff you just don’t want to see out of sight and mind. Whether it’s a personal choice or whether you just want to keep mature apps and games out of reach of your children, Google makes using it a simple process. 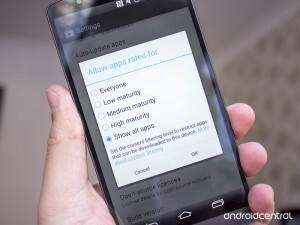 This gives you the option to allow apps to be shown based on how mature you want the content to be. From low through to showing all apps, it gives you the choice of what you want to see. The Play Store is a pretty open place but Google does have guidelines on what developers can and can’t do. You can read those in full here. If you see an app in the Google Play Store that you think is inappropriate, you’ve got the option to flag it as such to Google and you should absolutely use it. Is the Google Play Store not giving you what you want? Perhaps you may want to try the Amazon Appstore. Although seasoned Android users may already know about this process, here is a walkthrough for those new to the platform. For those who don’t already know, you can download apps from sources other than the Google Play Store. Probably the next most popular way to do this is from the Amazon Appstore (the same app store that the Kindle Fire tablets use). 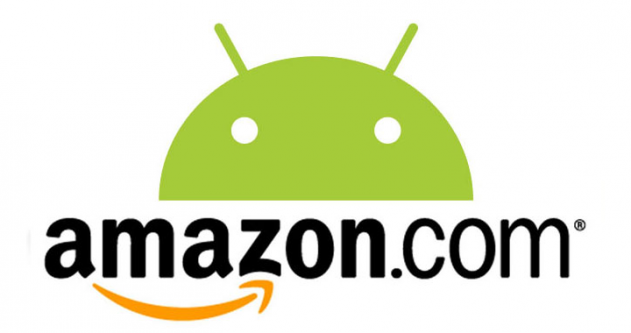 Amazon offers a free paid application everyday, something that Google Play only does on a rare occasion. That may be reason enough to install it, but it also offers some great recommendations as well as exclusive apps. Since the Amazon Appstore isn’t available in Google Play, you need to do a few extra steps in order to get it installed. Here’s a step-by-step guide on how to install it on your Android. Before we begin, there’s a setting that needs to be changed on your device. First, navigate to the Security tab in your Settings menu. If you’re on an older Android device, you may need to navigate to the Apps menu under Settings. Once in the Security menu, scroll down until you see “Unknown sources”. Make sure the box is checked. 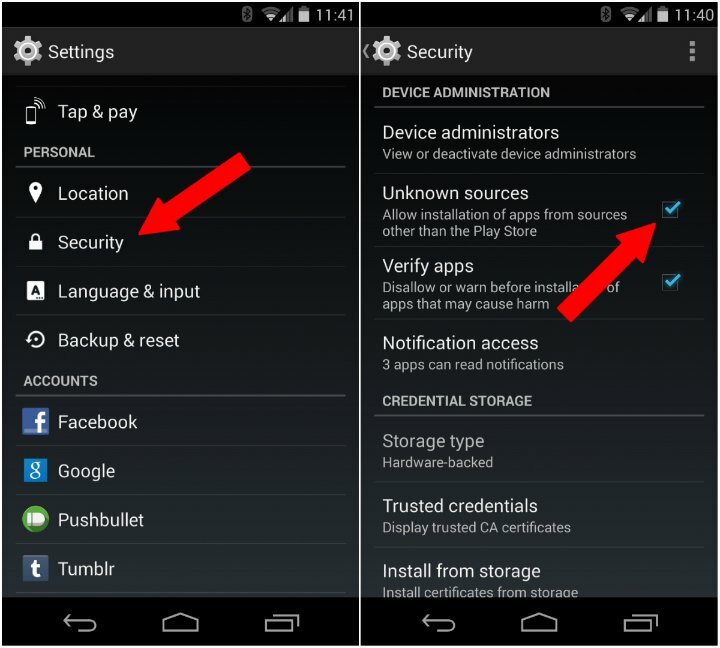 This feature is on your Android device to ensure that your phone stays safe. When this box is checked, it allows applications to be installed on your device that aren’t in the Play Store. The Google Play Store just launched a new promotion calledPlay Picks 2013. 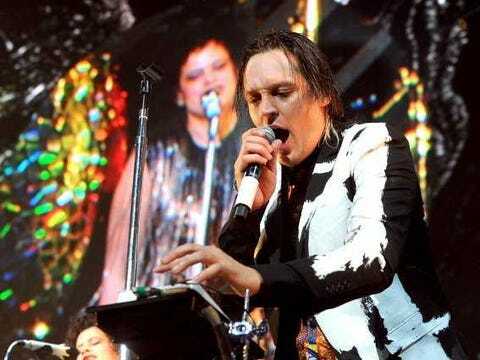 Music lovers who happen to own an Android device can download a selection of 2013’s most popular songs for free. Some of the selections aren’t surprising. Kanye West, Arcade Fire, and Drake claimed the top three spots, while the rest of the list was populated by indie artists like CHVRCHES and more popular personalities like Rihanna.